Despite being marketed by MSI as a netbook under its Wind brand, the use of a 12.1-inch screen and Intel Core 2 Solo processor mean the powerful and portable Wind 12 U200 has more in common with a CULV laptop than most netbooks. While the vast majority of netbooks are powered by Intel Atom processors, MSI has employed an Intel CULV processor here, alongside 2048MB of memory. The result is impressive performance for a netbook and you'll have no problem frequently multitasking and running office applications. Nevertheless, resource-heavy programs such as photo editing suites will struggle, and the integrated Intel GPU means this machine isn't suited to anything but the most basic of multimedia tasks. The chassis is built from thick black and grey plastics. The lid is particularly sturdy and provides great protection for the screen, while the chassis also provides decent protection for the components inside. Both are extremely shiny, however, and quickly attract dirt, dust and smears. The keyboard isn't the machine's strongest suit and, due to the way it's been mounted into the chassis, there's plenty of flex while typing. The keys are large, but there's little definition between them and it's easy to get lost on the board, leading to errors when typing at speed. The 1.5kg weight is good considering the screen size. Battery life impresses, and the 403-minutes of power available will mean you don't have to carry the charger around with you during the day. 802.11n Wi-Fi and Gigabit Ethernet provide high-speed network connectivity and three USB ports lets you connect peripherals. VGA and HDMI-out ports mean you can also connect to both analogue and digital external monitors and projectors. 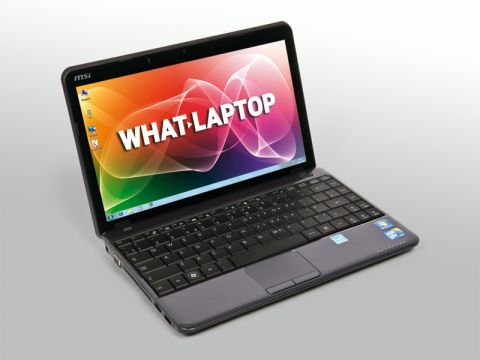 The Wind U200 is a good netbook that offers impressive performance and portability. The keyboard isn't the best we've seen, but doesn't detract too much from the otherwise good usability.